Russell House is a home for abandoned babies. We run as a transition home (a place of safety) for babies from birth to one year of age. The babies come to Russell House from the time they are abandoned due to poverty, abuse, or HIV-AIDS. These children live in a safe, healthy and loving family environment within our family home in Primrose Germiston and are personally cared for by Lindsey with the help of care givers. They live with at the home until social workers find adoptive or foster homes for the babies. Russell House is a vision of Dave and Lindsey Peacock who felt the need to make a difference in the community by taking abandoned babies into their care, loving and caring for them, as Jesus would! It is run purely on donations and is a division of Ukwakha Isizwe, a registered NPO and PBO. Any donations of old clothes or baby necessities, e.g. prams, cots, etc. would be much appreciated. If you would like to give a love gift/donation please contact Debby 083 229 7667, Dave 082 838 0044 or Lindsey 082 947 6713. Pedallers on the Way is a group of friends that bike too. Can Your Theology Deal With Disappointment? TITLE: Can Your Theology Deal With Disappointment? 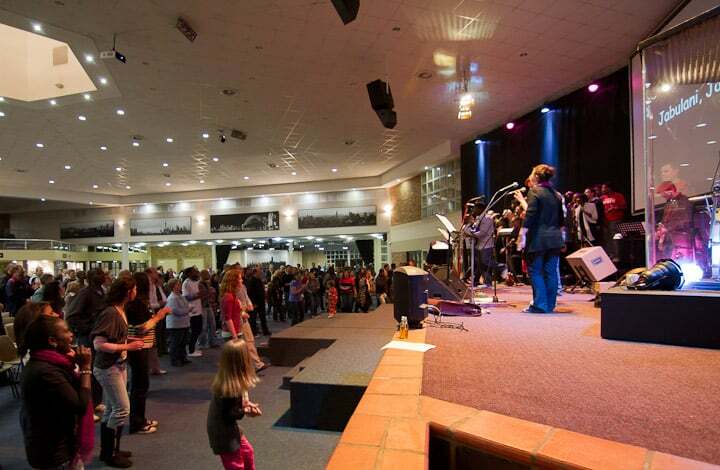 http://cornerstonechurch.co.za/wp-content/uploads/2015/03/CCLogoLG.png 0 0 Cornerstone Church http://cornerstonechurch.co.za/wp-content/uploads/2015/03/CCLogoLG.png Cornerstone Church2011-08-22 12:28:342014-05-09 09:53:27Can Your Theology Deal With Disappointment? The team was made up of fourteen individuals from Cornerstone, eight of which were the Life Team. After a ten hour drive to Mokhotlong, the team had supper together with the local leaders on the Friday night to connect. It was then off to an early start on the Saturday morning in a Youth Centre just outside of town. The morning consisted of training and there were about fifty to sixty local folk that came through. After lunch it was time to do some door-to-door evangelism in the village close by. The local guys and the Cornerstone team headed off to invite others to a late afternoon / evening meeting which was to focus on healing, God’s presence and power. The meeting indeed saw many breakthroughs as the team preached about signs and wonders and prayed for the sick. There were a great deal many evidences of God’s power which was all quite encouraging. Sunday morning the team split into two to visit two local churches. The original plan was to visit the four relating churches in the area but this unfortunately couldn’t be done due to the team only having one vehicle. 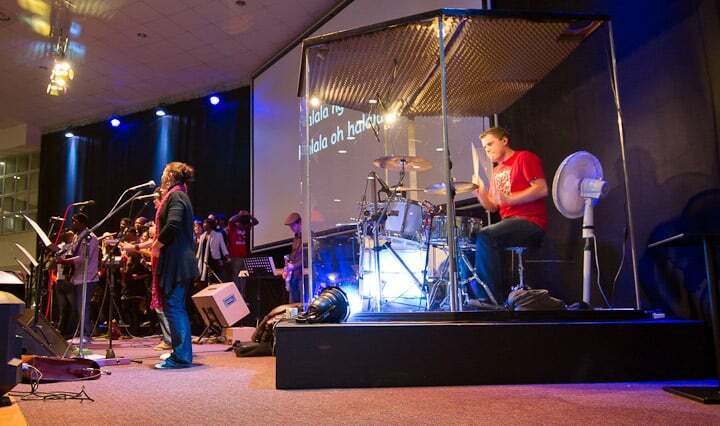 Mark preached at the one church while Casper Versluis and Kyle McClean preached at the other. The morning was quite fruitful and the team packed up at 1pm and got home around 10pm. There are four churches which we relate to in the area and throughout the years we have seen a lot of growth and life in these churches. Still, we’re really praying to see more churches established there and also more churches relating to the team so that we can work much more effectively into Lesotho. This is a key prayer point alongside the constant challenge of poverty the churches face there. The next trip to Lesotho is planned for the weekend of 11 – 13 November. This time we’ll probably go to Maseru (the capital of Lesotho). It will also be a GTT. Chat to Mark if you would like to join in the trip. 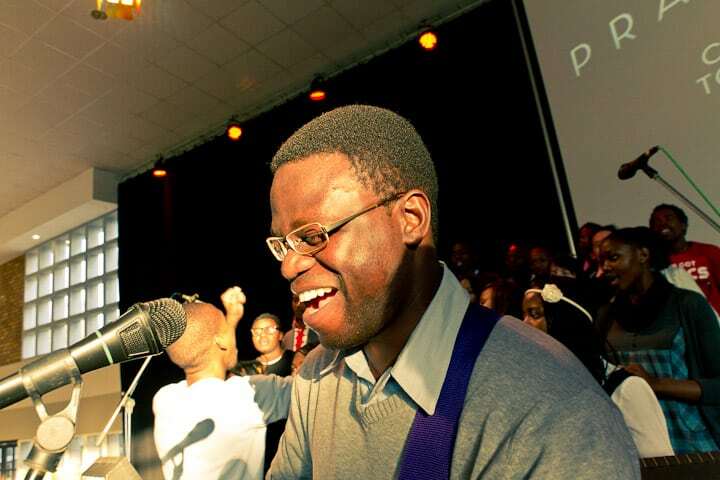 If you would like to call him you can at the church office number, 011-616-4083 or email info@cornerstonechurch.co.za. Alternatively, have a chat to him at one of the Sunday or Wednesday meetings. This man has something to say and the way he says it will have you doubled over with laughter. The topic was him donating a kidney to his dad who was very ill and needed the kidney or he would be on dialysis for the rest of his life (which is no life at all). This is no laughing matter but as he explains this whole process he has you rolling on the floor. He starts off with being totally disgusted that his father has the audacity to even ask one of his kids for a kidney and feels that it is just going to be him. It turns out that he is the perfect match (6 out of 6 match – which is nearly never heard of). If anything can go wrong in an operation, it did with him. His antics are hysterical even though the tough time he goes through most certainly is not. He is totally embarrassed by the processes that he has to go through before the op and he goes into the details. He nearly dies a few times in the process while his dad is up and about a few hours later after receiving Michael’s kidney. His recovery is also slow after all the complications but in the end he pulls through and lives to tell his very humorous tale. I left with valuable lessons on life and how to overcome with a sense of humor. The all sites celebration time was awesome. The band rocked out and having the choir on stage was the icing on an already very delicious musical cake. It was great having the Uptown guys and girls with us and their presence definitely improved the dancing skills average by about 98.3%, if not more. We had serious fun dancing and singing together. 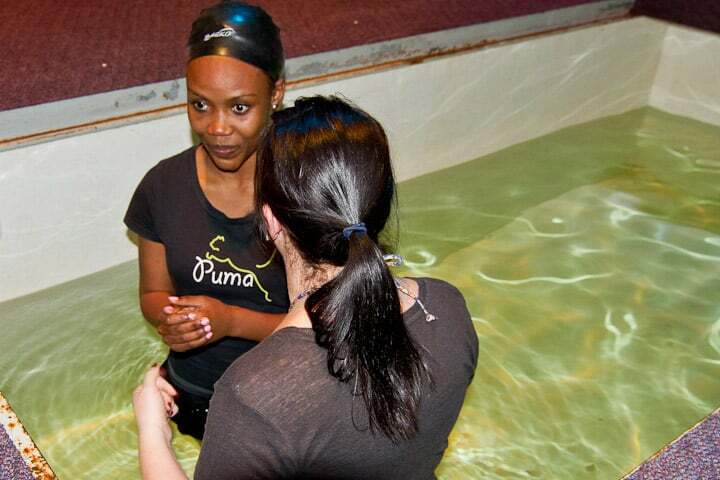 The song and dance was followed by a whole bunch of people getting baptised. 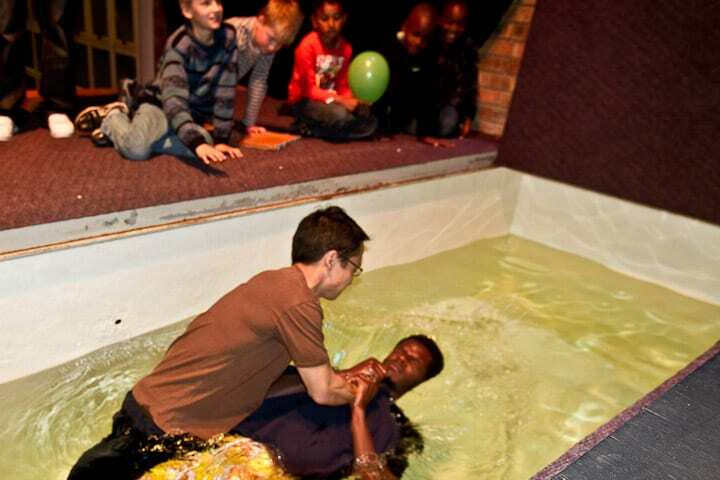 It’s always great seeing people get baptised and sharing that experience with them. There was a real sense of family and community as we all supported those taking the step of baptism and it was really wonderful to be a part of.